The temperature method for determining the ovulation time is a very reliable method when used correctly. Unfortunately, the application of this method has often been complicated – even with more modern fertility monitors and similar devices. – Typically, the user is asked for more than a little involvement and sometimes even some acrobatic skills. Hence, when designing and developing ovolane® our goals were user-friendliness, best ergonomics with optimal reliability. Today, we claim our system can not be outperformed as to comfort and convenience without sacrificing precision and reliability. 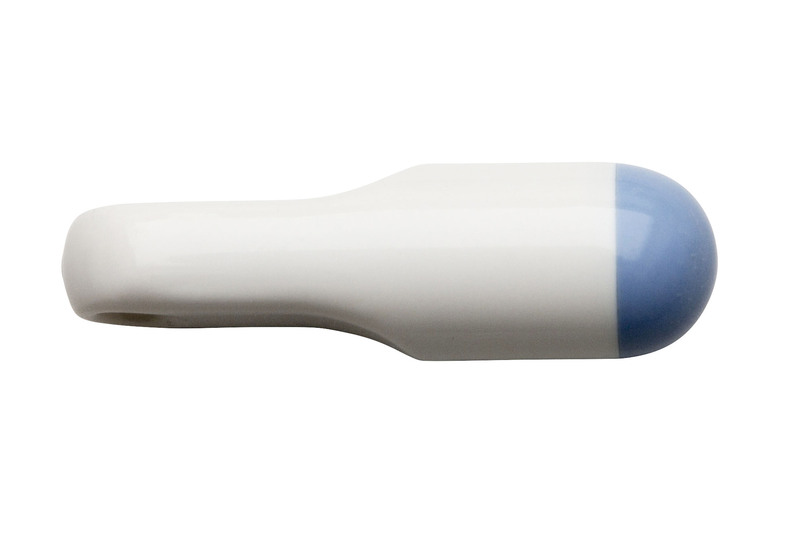 When you go to sleep, you insert the ovolane® sensor just like a tampon, just deep enough so that you can not feel it. After you wake up, you retrieve the sensor. That’s it ! During the first three months of use, you should use the sensor every night apart from your period so that ovolane® can get acquainted to your individual cycle. Later, you do not need to use the sensor after ovulation until the end of your next period. 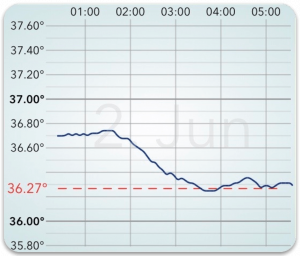 As soon as the ovolane® app has received the new temperature data, it plays a sound and graphically displays the nighttime temperature profile. If you tap the nighttime temperature profile with the finger, the day report view appears.